BANGKOK: The Ferrari driver who allegedly slammed into a motorcycle policeman, dragged him along the road and then sped away from the mangled body took just hours to find, as investigators followed a trail of brake fluid into the gated estate of one of Thailand’s richest families. 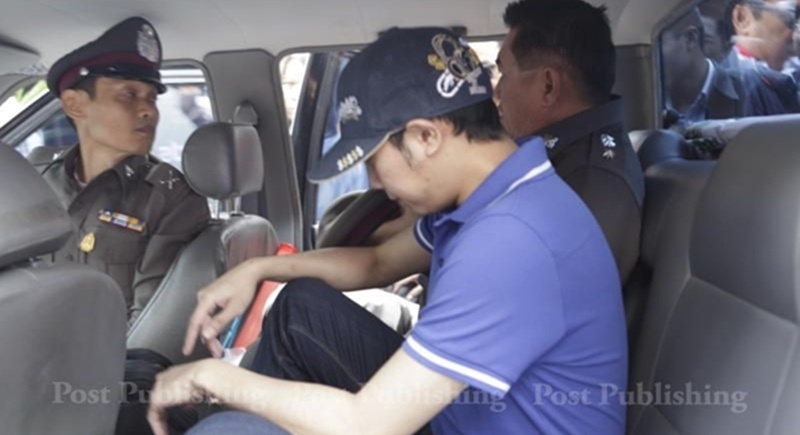 But the prosecution of Red Bull heir Vorayudh “Boss” Yoovidhya has been delayed for almost five years. Vorayudh, 31, has been repeatedly summoned to face authorities but he avoided it each time, claiming through his lawyer that he was sick or out of the country on business. And while the statute of limitations runs out on key charges this year, it has been widely assumed he’s been in hiding, possibly abroad, or quietly living locally, only going out in disguise. Vorayudh is accused of being responsible for a hit-and-run on Sept 3, 2012, in which Sen Sgt Maj Wichean Glanprasert, chief of a patrol unit at Thong Lor Police Station, was killed. Pornanan Glanprasert, Sen Sgt Maj Wichean’s older brother, said Vorayudh’s lawyer offered to compensate for the death of his brother after the incident. Mr Pornanan said his family members initially requested eight million baht in compensation, but settled at three million baht. He said the offer stipulated they would not pursue a lawsuit against Vorayudh, adding his family has held up their end of the deal. However, criminal charges were brought against Vorayudh by police, Mr Pornanan said. He told the Bangkok Post that his family still wants justice to be served in this case. Within weeks of the accident, the Associated Press found, Vorayudh was back to enjoying his family’s jet-set life, largely associated with the Red Bull brand, an energy drink company co-founded by his grandfather. He flies around the world on Red Bull jets, cheers their Formula One racing team from Red Bull’s VIP seats and keeps a black Porsche Carrera in London with a custom plate: B055 RBR. Boss Red Bull Racing. Last month, social media clues led AP reporters to Mr Vorayudh in the sacred city of Luang Prabang, Laos, where he and his family enjoyed a US$1,000-a-night (B34,400) resort, visited temples and lounged by the pool. Critics say inaction in this case epitomises long-standing privileges for the wealthy class in this politically tumultuous country that has struggled with rule of law for decades. The Yoovidhya family lawyer did not respond to AP’s request to interview Vorayudh. Police say Vorayudh is once again on notice to show up and hear the charges. He is due at the prosecutors’ office tomorrow (Mar 30). While Vorayudh’s case has been on hold since 2012, his carefree lifestyle has not. More than 120 social media posts show Vorayudh visiting at least nine countries since Sen Sgt Maj Wichean’s death. He’s cruised Monaco’s harbour, snowboarded Japan’s powder, and celebrated his birthday at Restaurant Gordon Ramsay in London. At the Wizarding World of Harry Potter in Osaka, he posed wearing robes from Hogwarts School’s darkest dorm, Slytherin House. Friends and cousins posting about him have hundreds of thousands of online followers. CaptainJack69:  Yup, for a bit of soft drugs you go prison longer time, specially when you are not 'influential'. Seems Thailand is still trying/hard working to find a balance in law enforcement/speaking Justice. The bottle neck is the word..Justice..
That is a brain cracker here. It seems all to be just a financial matter/opportunity. The statute of limitations for manslaughter is only 5 years? Wow! What a country.